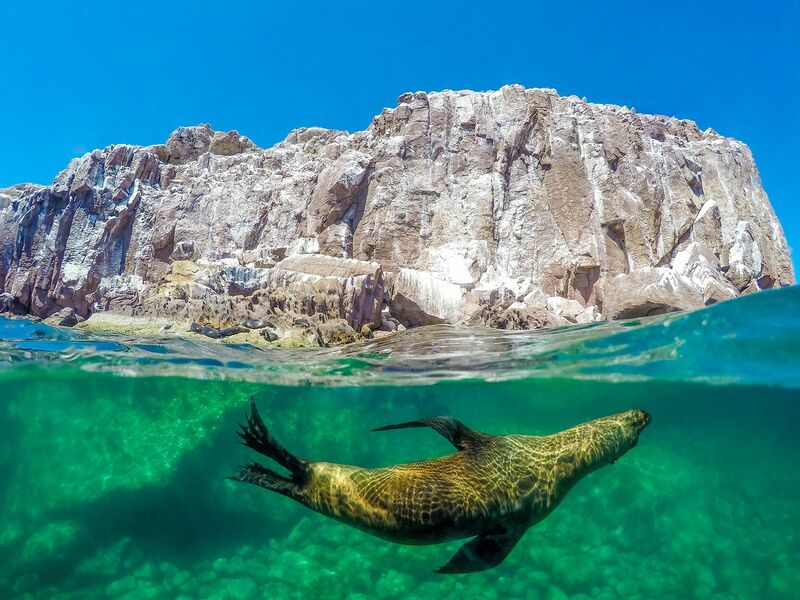 From snorkeling amidst incredible marine to sailing on a luxury catamaran, there's an abundance of activities to partake in during your vacation in the Sea of Cortez. Learn more in this blog article! Among the many sites to see in Mexico, few are more spectacular than the Sea of Cortez. Named a UNESCO World Heritage Site and home to an incredible myriad of marine life, this unique body of water is one of the world’s premier sites for snorkeling and scuba diving. With warm, calm waters and number of picturesque coastal vistas, it’s also a great place to sail, kayak, or just relax on the beach. In this guide, our travel team here at Cabo Adventures highlights some of the most exciting things to do on vacation in the Sea of Cortez. We also provide links to some of our many award-winning tours in the region. Read on learn more, and book with us today! If you are visiting the Sea of Cortez and searching for a place to go scuba diving or snorkeling, you’re in luck. This unique body of water is home to an incredible array of marine flora and fauna, as well as truly breathtaking underwater geological features. Its warm, calm, and crystal-clear waters harbor thousands of fish and mammal species, plus some 5,000 species of micro-invertebrates. 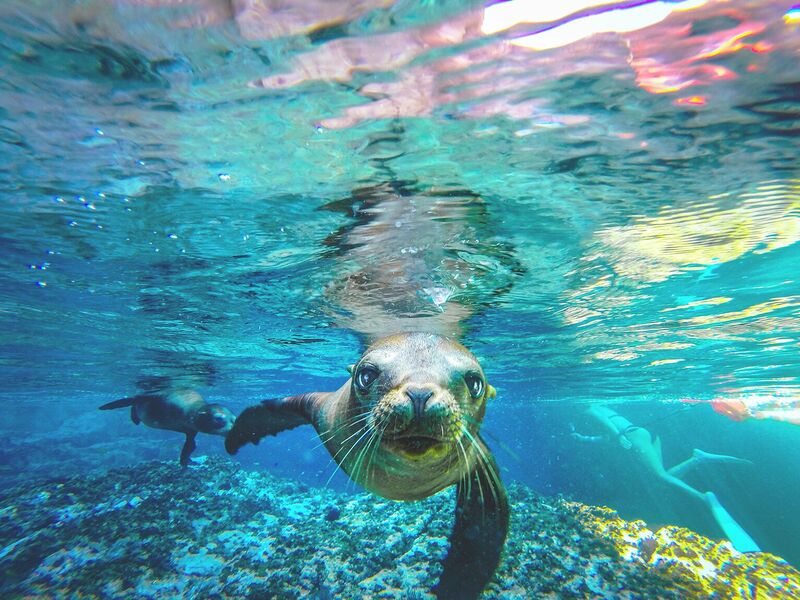 When going Sea of Cortez diving, you’re sure to spot a plethora of marine animals, including sea turtles, dolphins, sea lions, whales, tropical fish, and more! Speaking of tropical fish, the Sea of Cortez is also a paradise for fishers. Obtain your permit and cast a line into one of the most fertile fish habitats in the world. Fish species native to the Sea of Cortez include yellowtail, marlin, snapper, dolphinfish, sailfish, roosterfish, sea bass, and many more. Fishing permits can be obtained online via the State of Baja California Sur Fishing Permit website. Looking to get a workout and enjoy the breathtaking sights along the Sea of Cortez coastline? Paddle out on a Sea of Cortez kayaking tour! Aboard a sea kayak, you’ll get to feel the breeze, sunlight, and refreshing sea water while getting in a good workout paddling at your own pace. (Don’t worry: the currents in the Sea of Cortez are relatively calm in most places. Sea kayaking here is a great choice for kayakers of all skill levels.) Take in the temperate seaside climate and enjoy amazing views of pristine beaches, rolling foothills, tropical islands, and more! If kayaking isn’t quite your style, there are a number of other ways to enjoy the waters of the Sea of Cortez. Perhaps the most luxurious of them all is to cruise aboard a Sea of Cortez yacht charter. On a yacht tour like our Sea of Cortez Adventure here at Cabo Adventures, you get the option to sit back and relax aboard a luxury yacht and join in on some of the many marine activities scheduled during the tour. Sail the Sea of Cortez coastline in style, and jump in for snorkeling, paddleboarding, and other activities. The Sea of Cortez has over 4,000 kilometers (2,500 miles) of coastline. Much of this coastal space is home to a handful of Mexico’s finest beaches. These include the La Paz area beaches, such as Caimancito Beach, Playa Coromuel, and Pichilingue Beach; the Rosarito area beaches; the Mulege area beaches; the San Felipe area beaches, and many, many more. Whether you are looking to relax on white sands or explore tidepools and rugged rock formations, the Sea of Cortez has hundreds of beaches perfect for you. Want to learn more about the many exciting things to do on vacation in the Sea of Cortez? Ready to book your next Sea of Cortez adventure? We’re here to help. Here at Cabo Adventures, we proudly offer a number of Sea of Cortez excursions great for travelers of all ages. Explore our website to learn more about our award-winning tours, and contact our team for booking information and other travel resources.